Honda Motorcycles and Scooter India has launched the 2018 Navi in the Indian market. The 2018 Navi gets many changes and is aimed to keep the moto-scooter fresh and updated in the market. The Honda Navi is based on the Honda Activa scooter and became quite popular after its launch in 2016. However, the popularity decreased over the time. The new Honda Navi comes with a new fuel gauge, new metal muffler protector, body coloured grab rail, headlight cover and rear view mirrors. It also becomes sportier with bits like red paint on the rear shock absorber. Apart from the visual changes, the Navi remains identical to the previous model. The new model is priced at Rs. 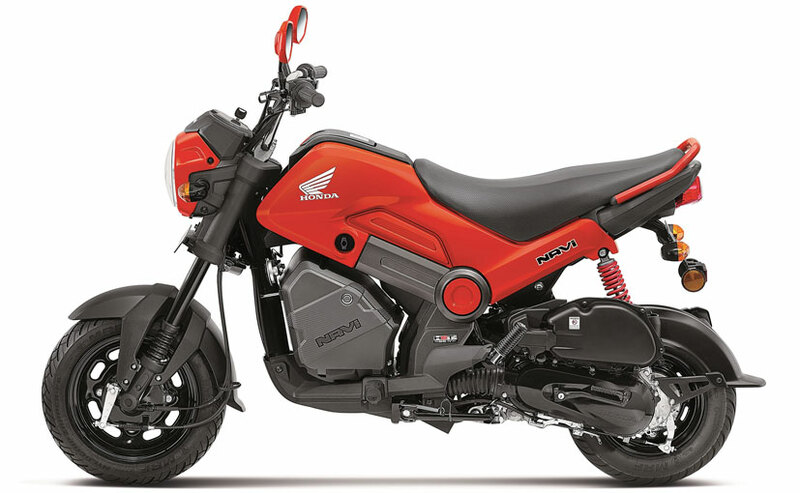 44,775 (ex-showroom, Delhi) and is available in six colours - Patriot Red, Shasta White, Sparky Orange, Black, Ranger Green (new), Ladakh Brown (new). In the diverse Indian two-wheeler market, NAVi stands out firmly with its unique fun proposition. The trendy NAVi is a style statement for the youth and the new 2018 upgrades take it a notch higher. Along with the convenience value addition like stylish fuel gauge and muffler protector, new vibrant colors offer an extra zing for those who have an appetite for uniqueness. We will continue to surprise our customers and add more fun for the riders. The Honda Navi is powered by a 110cc, four-stroke engine that produces a maximum of 8 PS and 8 Nm. It gets a CVT automatic transmission that powers the rear wheel. Te scooter gets 12-inch steel rim with tubeless tyres. It gets drum brakes at the front and rear. Honda offers a lot of customisation options of the Navi in the market including body kits to luggage box.